These St. Tropez striped Charles Philip loafers retail for $135 at Bloomingdales and also come in grey/white stripe. 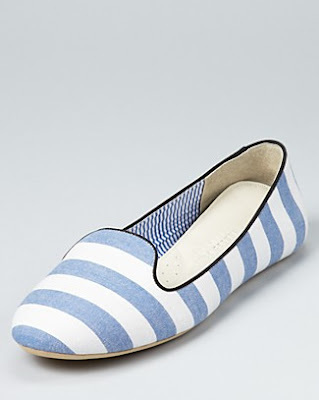 If you love the look but want to save a little cash, check out these striped Steve Madden loafers as an alternative. They retail for $59.95 and you can click on the image below for more information or to purchase.